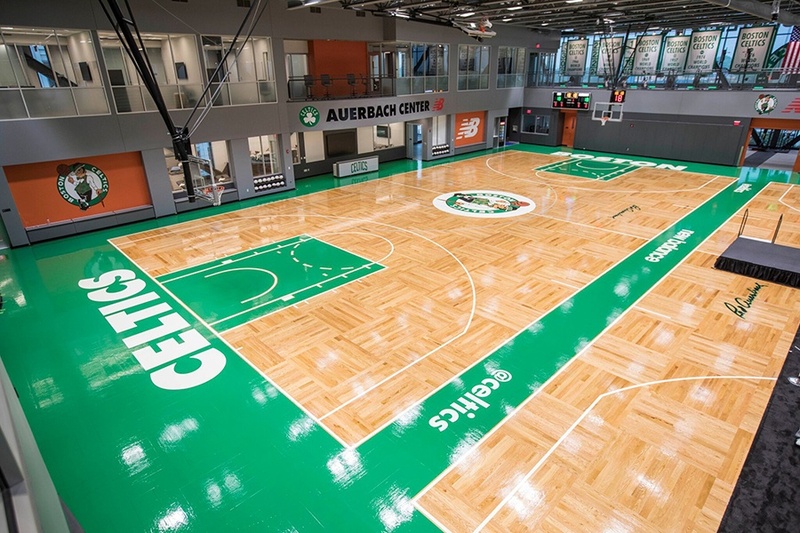 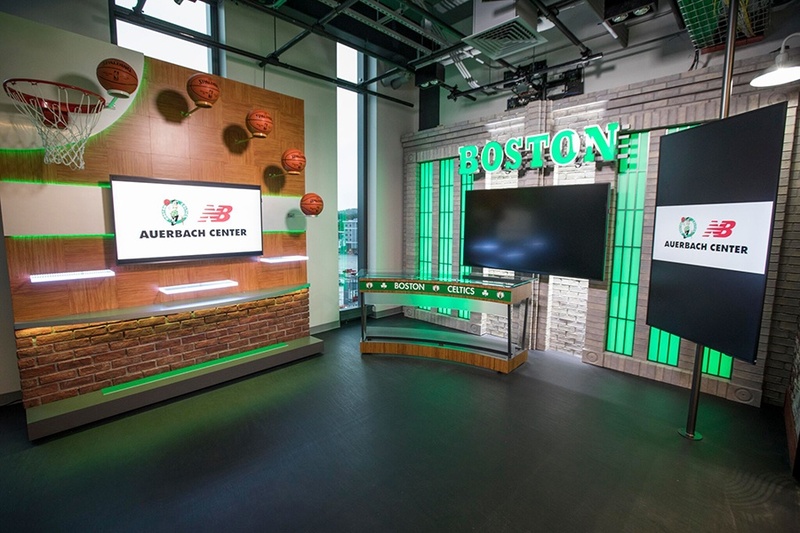 The Auerbach Center joins New Balance and the Bruins at Boston Landing. 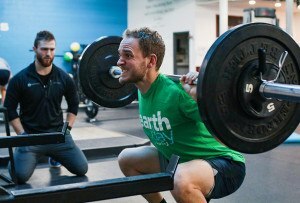 By Tessa Yannone·	 6/20/2018, 6:18 p.m. 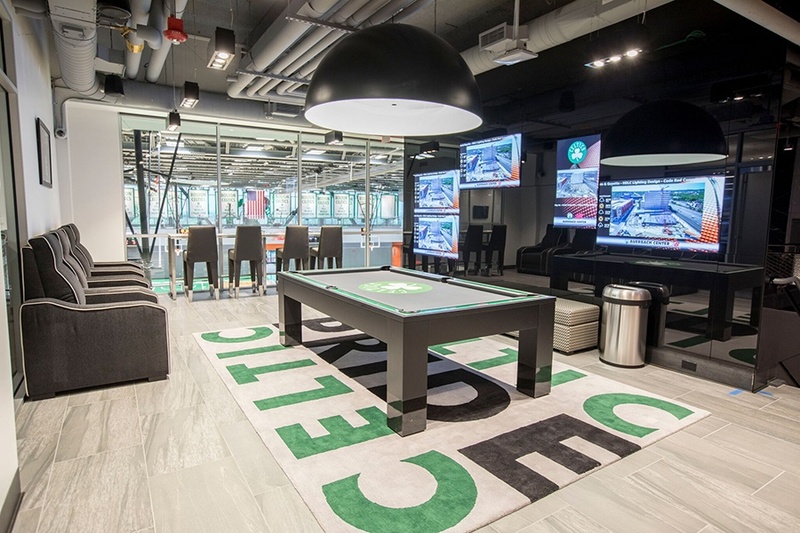 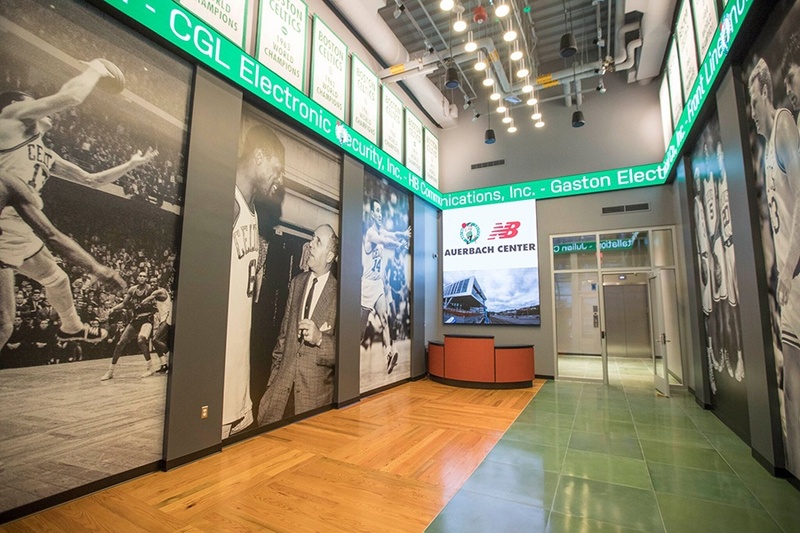 The Celtics have made a new home—a shiny, modern, brand-spanking-new home—for themselves in Brighton at Boston Landing next to the New Balance headquarters and the Bruins Warrior Ice Arena. 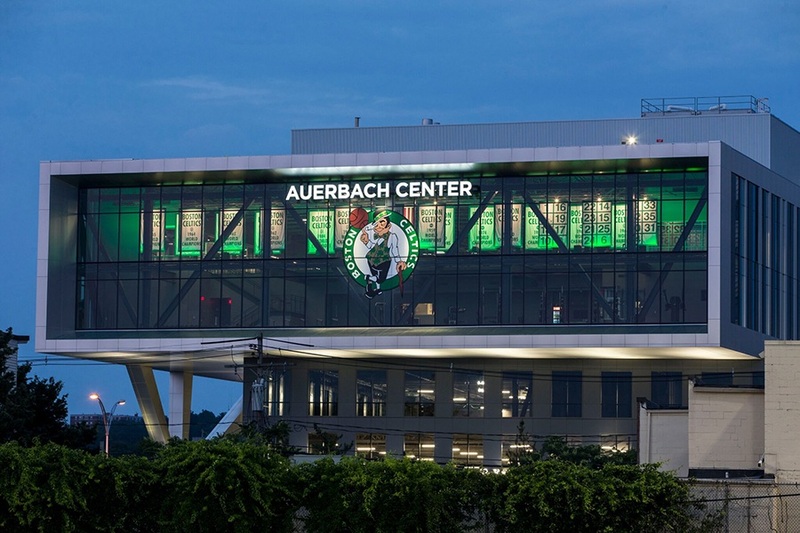 Some pretty nice neighbors, if you ask us. 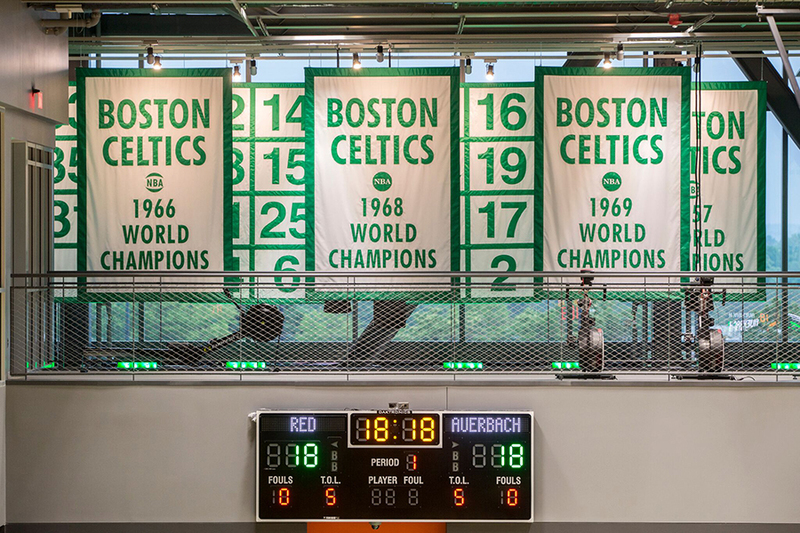 The team previously practiced in Waltham. 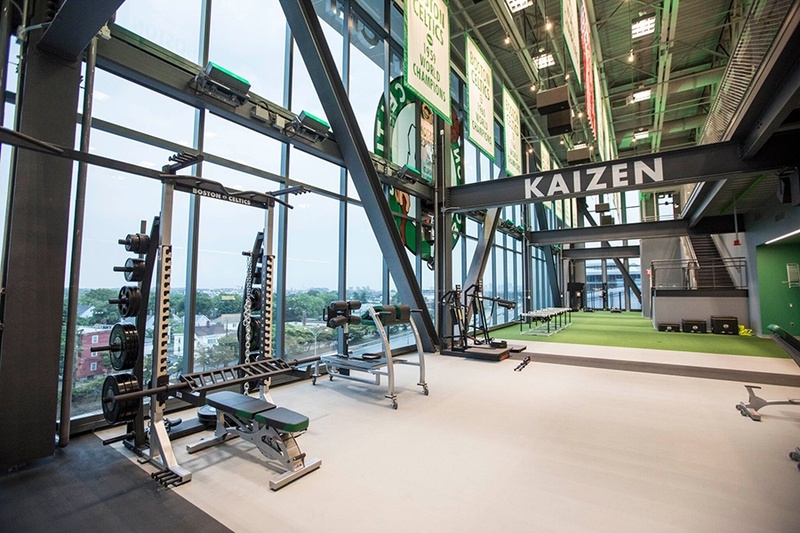 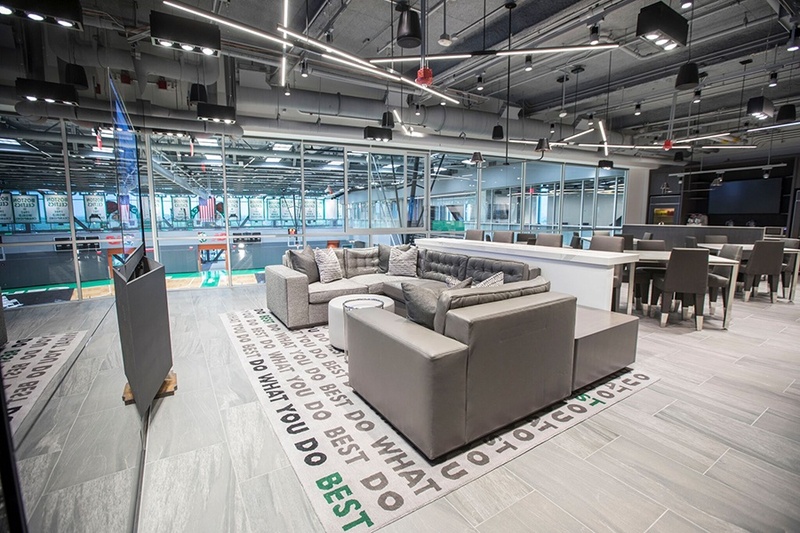 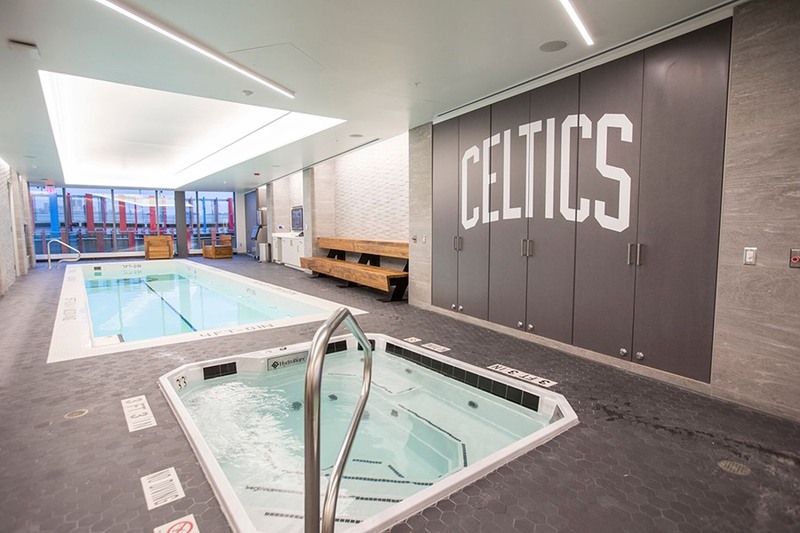 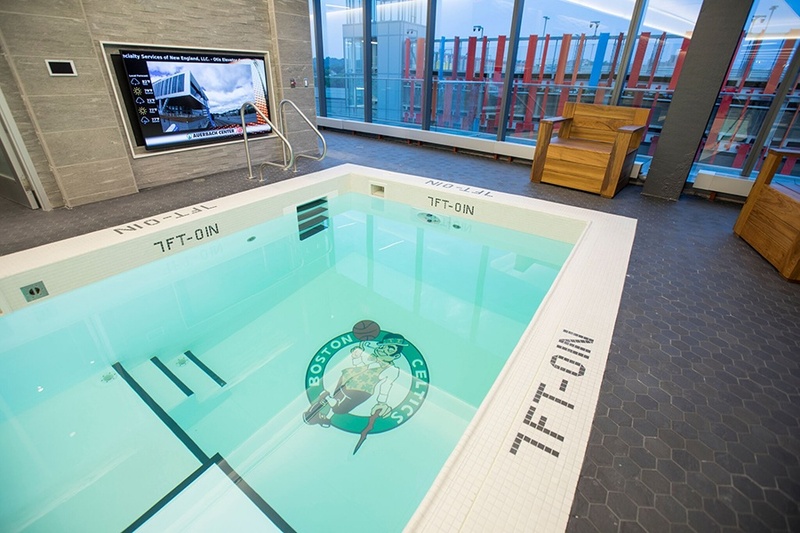 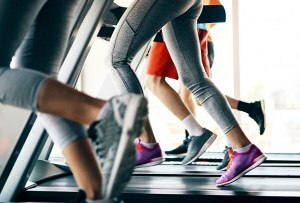 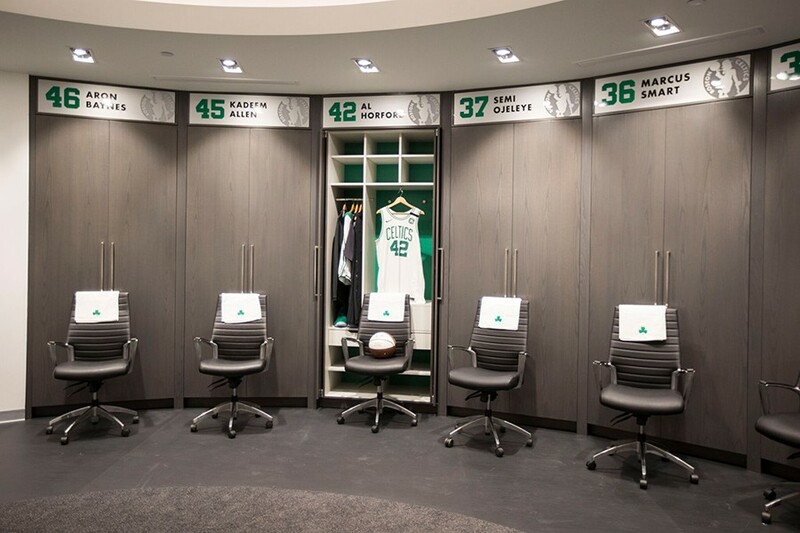 This new 70,000 square-foot training facility is named after Celtics coach Red Auerbach and boasts innovative technology, state-of-the-art equipment, custom-made furniture (for rather large humans), a personalized dining service, a float tank, and so much more. 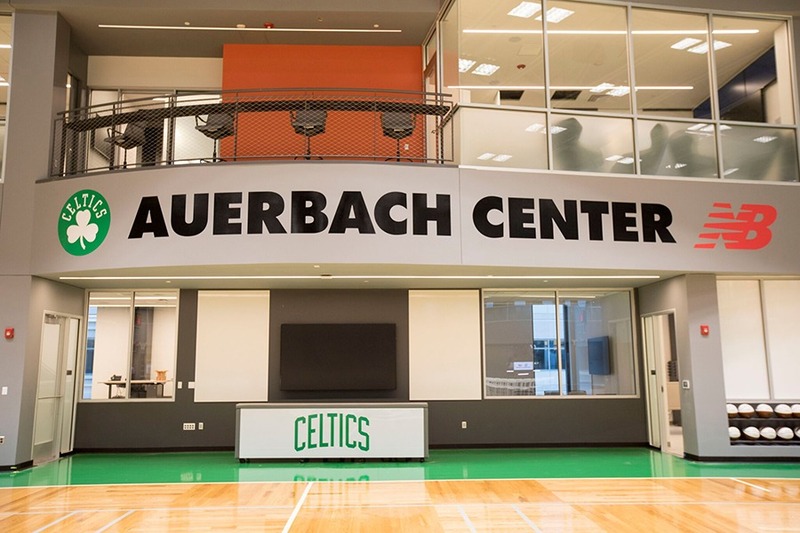 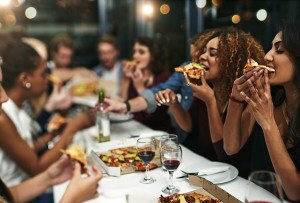 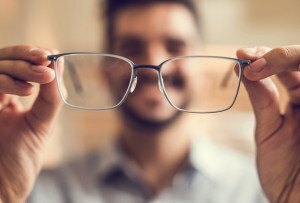 Compared to Waltham, the staff said everything at the Auerbach Center is much more spacious, allowing for a more efficient operation. 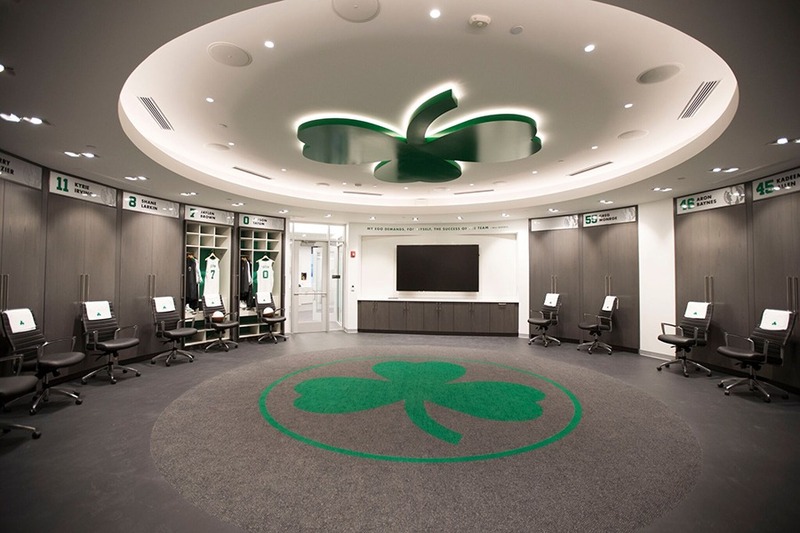 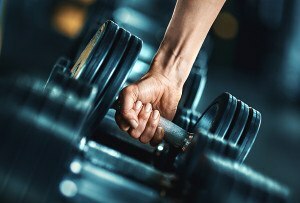 From the expanded strength and conditioning room, to the exam room right off the court, and even a barber-chair in the locker room, we’re not sure why you would ever have to leave. 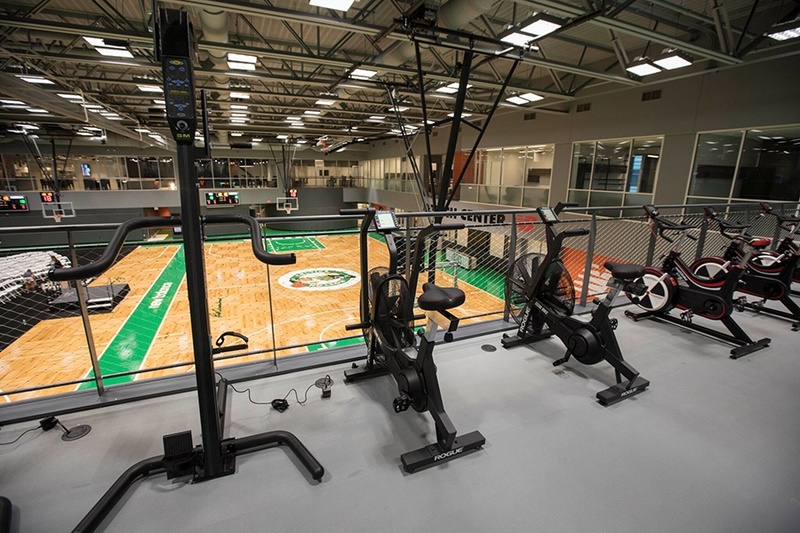 The remarks throughout the Grand Opening ceremony focused not only on the amenities offered at the new space, but on the community and the people who made it all possible.